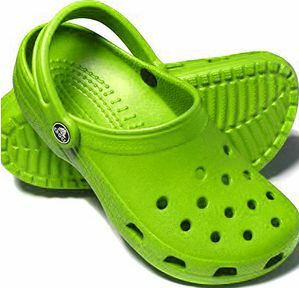 There may be several people here at the Anvil Media offices who would rather die than be seen wearing a pair of crocs. Love or hate the plastic-looking clogs, I have to give credit to the CEO of the company, John Duerden for not only being aware of negative press the brand may be getting, but responding to it through the company’s blog on the same day as the original article. Granted, a two page article from the Washington Post touting the death of your company may be hard to miss. The story spread through social media sites. And the Crocs CEO wanted to set the record straight and offer the world the company’s perspective, though the Crocs Blog Thanks to the Internet, companies are able to immediately address their customers and naysayers, and more often than not, this is becoming the norm instead of the exception. PR and marketing is still changing. More companies are starting to get it, but most of them are still sprinting to keep up. Duerden’s reply to the Washington Post article also spread throughout Twitter, making sure all interested customers could see both sides of the story. The Crocs brand may be struggling to be more than a fad, but at least they aren’t going to go down without a fight. Still Don’t Know How To Blog? Check This Out!